Apart from the many great things smartphones have done for us, it has also changed our behavior in a way that makes us more prone to accidents. Human behavior has changed drastically due to the frequent use of smartphones and the various apps available on it. At least 50 percent of American adults own a smartphone and it has greatly changed the way people live. According to TIME Magazine, over 94 percent of all smartphone owners worry about losing their cell phone and 73 percent feel panicked when they believe their cell phone is lost. Apart from the many great things smartphones have done for us, it has also changed our behavior in a way that makes us more prone to accidents. Most of us are aware that we are not supposed to use smartphones while we drive. However, this does not stop developers from designing and developing apps that are meant to enhance the different aspects of driving. Mobile apps such as Waze, Trapster, and GasBuddy send alerts to the smartphone about traffic jams, accidents, and speed traps. There are some other apps such as DriveMode that help prevent texting and driving. Some of these apps put a driver’s phone on lock whenever the car speed is over 15mph. They silence incoming calls and texts, and can send automated text to the caller. These are thousands of other apps available to assist you in the driving process. However, whether these apps help you become a safe driver, or act as a distraction remains a question. How does smartphone usage effects driving? The negative effects of using a smartphone while driving are well known. However, traditional methods of enforcing laws against speaking on the cell phone or texting while driving, or other smartphone related violations generally haven’t proved very effective. While there are disturbing statistics available to prove how dangerous smartphone usage while driving is, simply analyzing these figures does not seem to deter many drivers from using their phones. Instead, mobile apps have been working alongside insurance companies and law enforcement to come up with mobile apps that offer positive incentives for responsible and safe driving. 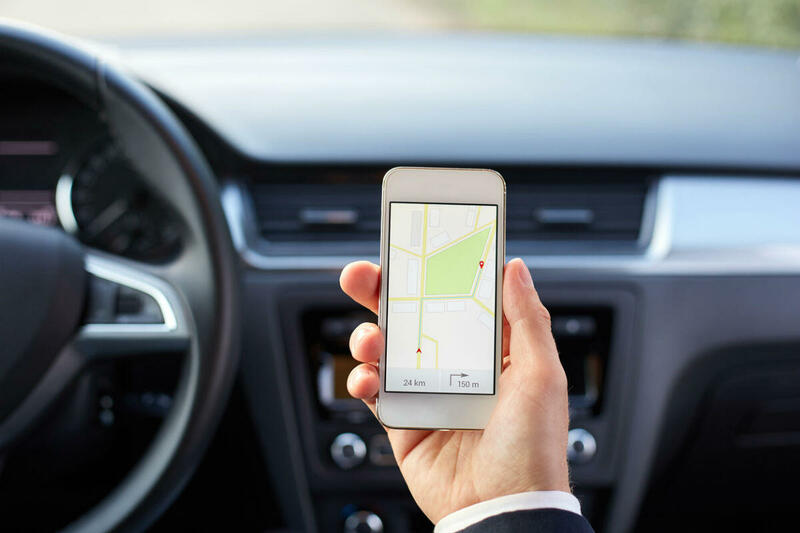 Insurance companies have launched apps that track driver behavior and reward good drivers with significant savings on their premium payments. Popular ride sharing company Uber recently began monitoring abrupt movements in the accelerometer of smartphones, in order to remove bad drivers in their workforce and maintain better safety for their passengers. This use of apps is slowly conditioning us towards reliance on technology rather than our own judgement while driving. This may pave way to a more technologically advanced driving environment. Autonomous vehicles may be the face of future driving technology. Injured by a Distracted Driver in St. Louis? Many people seem to be glued to their smartphone screens 24/7. If you have been injured in a car accident caused by a distracted driver, get in touch with a qualified St. Louis accident lawyer to learn more about your rights. Call us 24/7 at (314) 361-4242 to schedule a free case evaluation.